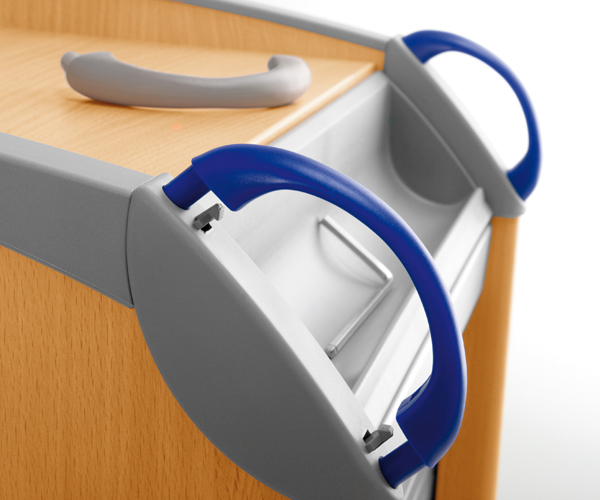 The Moll Maxi is a large 4 Drawer + 1 Stationery Drawer mobile pedestal, with loads of storage for any workstation. 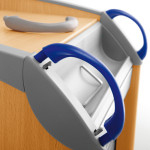 Mobile container with 4 smooth-running castors. 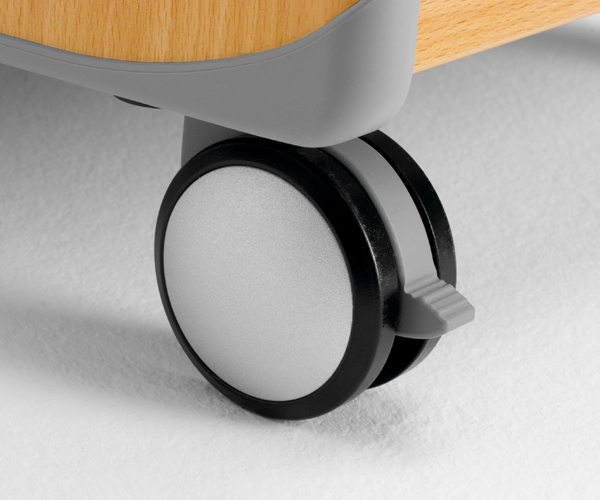 The two front castors have locks to act as brakes. 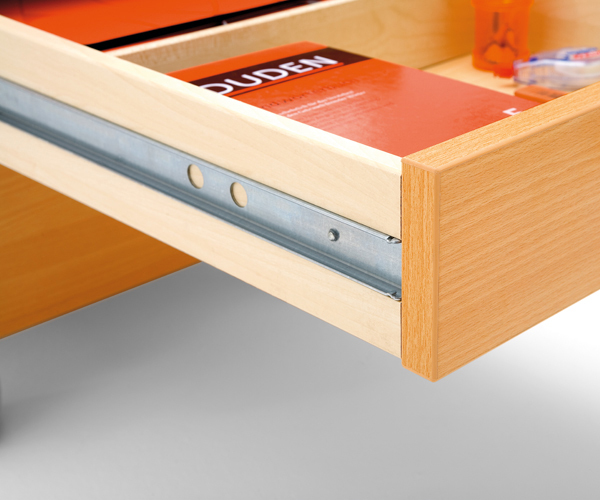 There’s room in the drawers of 4 different heights (the upper three 7.5 cm, bottom 12.5 cm high) with coloured handles for all sorts of writing utensils. 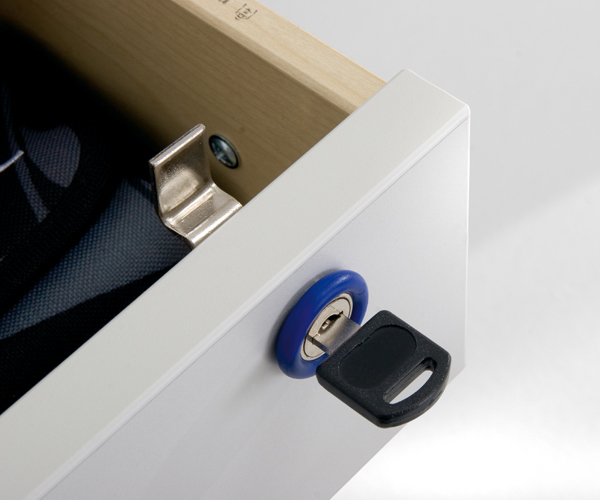 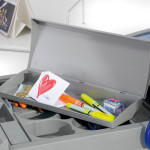 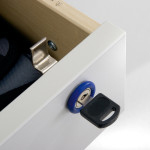 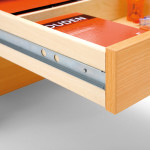 The top drawer is lockable. 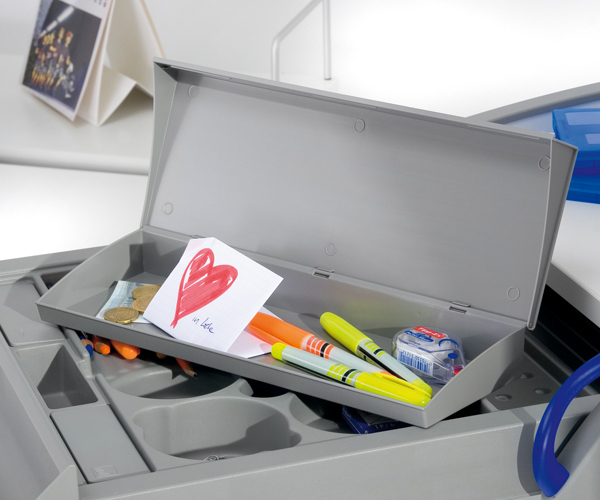 It also has a compartment drawer and a secret compartment. 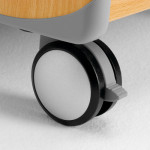 Our tip: use the optional “Pad L” upholstered seat pad to change the Maxi into a mobile stool.